When the missing persons cases in Toronto’s gay village went cold, reporter Justin Ling stayed on the story. Justin Ling sits cooped up inside an office on the third floor of the House of Commons at Parliament Hill. It’s early in 2015, and although Ling is on assignment for Vice, his thoughts are somewhere else. There’s a story that he can’t shake—an investigation that needs to be pursued. If Ling doesn’t take this on, it’s possible—maybe likely—that no one else will. The missing persons cases—which have been heavily reported on in the GTA this past year year— resulted in Toronto man Bruce McArthur getting arrested and charged with eight counts of first-degree murder. But before police had their suspect, the city’s LGBTQ+ population endured years of frustration as they fruitlessly urged authorities to consider that someone was targeting members of their community. Although Ling lived over 400 kilometres away from Toronto’s Church-Wellesley Village—the area where, police say, McArthur lured his victims—he didn’t stop thinking about the case when it went cold. “I wasn’t based in Toronto and it wasn’t necessarily my beat in any way, but I was just kind of curious about it,” Ling tells the RRJ. He recalls the fateful day on Parliament Hill as a turning point in his pursuit of the story. While acknowledging that the South Bayview Bulldog and various online forums like Websleuths had continued to raise suspicions about the case, Ling says he realized further investigation was needed. He thought the events pointed to the high likelihood of a serial killer, although the police refused to consider the theory at the time. Ling continued to probe the case for the next year, going back and forth with the Toronto Police Service (TPS), which often left him frustrated and with no new information. “It was difficult,” recalls Ling. “Several of the officers that had been originally involved had retired, the communications staff were not super helpful, the officer I reached out to—he’s still technically the lead on the case at least on paper—he was sympathetic and wanted to help, but I think kind of had his hands tied.” Ling says the officer cited the Privacy Act as a barrier to releasing information on the case, and added that high-level decision makers are usually in charge of such decisions rather than the investigating officer. Ling persisted through never-ending roadblocks and difficulties in acquiring new leads. After moving to Toronto for a job as Vice’s features editor, he began to uncover some curious details that he believed police should’ve looked more thoroughly into. Ling wrote about the potential misstep in a June 2017 Vice article titled, “Missing from the Village.” In the story, he highlighted the similarities between the men that had gone missing—Skandaraj Navaratnam, Majeed Kayhan, and Abdulbasir Faizi—before taking TPS to task for not spending enough time investigating the area where Faizi’s car was found. “Perhaps the most crucial piece of evidence that appears to have gone unchecked by investigators surrounds Faizi’s abandoned car,” he wrote. At the end of the article, Ling implied that the disappearances were far too similar to be a coincidence. Seven months after Ling’s first Vice article on the missing persons cases, McArthur was arrested and charged with murdering both Selim Esen and Andrew Kinsmen. Eleven days later, three more murder charges were added for Kayhan, Dean Lisowick, and Soroush Mahmudi. Further murder charges have since been laid for Faizi and Navaratnam. 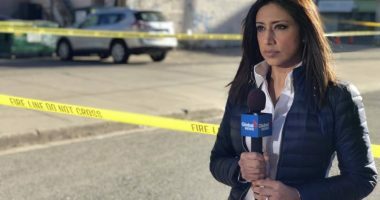 On April 16, charges were laid for Kirushna Kanagaratnam’s murder, making it clear that Ling was spot on in raising the serial-killer theory, should the police prove their case in court. While he did his earliest reporting on the case for Vice, Ling left the company before being hired at the Globe and Mail to work specifically on the story. He was originally on a freelance contract, but has since been offered what he calls a “short-term, full-time” contract—a rarity in the journalism industry. Since McArthur’s arrest, Ling continues to uncover exclusive details about the case, often in partnership with Tu Tanh Ha, a national reporter at the Globe. 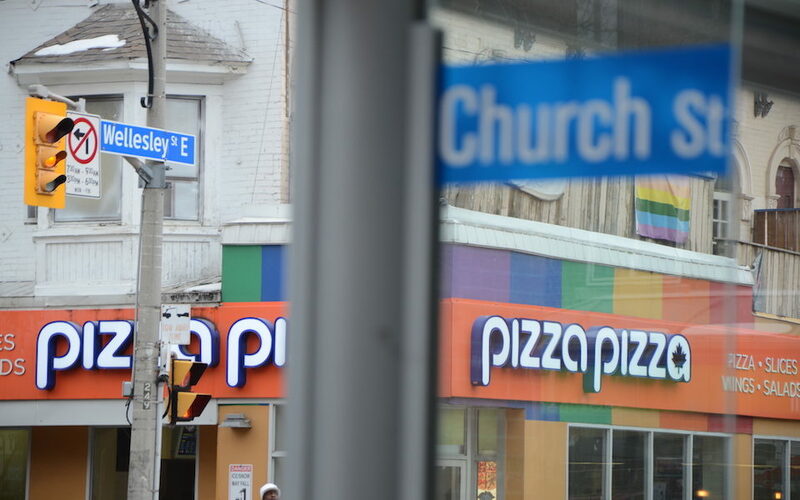 Ling’s familiarity with Toronto’s Church-Wellesley Village has done more than arm him with the Globe’s resources and unique platform. Just last week, Ling and publisher McClelland & Stewart announced they would be working together on a book about the McArthur case. “I’ve gotten email after email from people within publishing, people within the LGBTQ+ community, just saying, ‘We’re so glad you signed him to write that book because he’s the one who really has understood this,’” says Jared Bland, a publisher at McClelland & Stewart. “I think his reporting bears that out‚ he’s so far ahead of anybody else,” he adds about Ling’s work on the McArthur case. The police closed their investigation into the missing persons cases in 2014 and refused to consider the theory that a serial killer was on the loose in the Village. Meanwhile, mainstream media quickly moved onto other topics once the police announced the cases’ closure. Unfortunately, Ling says, Toronto’s failure to protect its LGBTQ+ community points to systemic biases and isn’t a one-off.